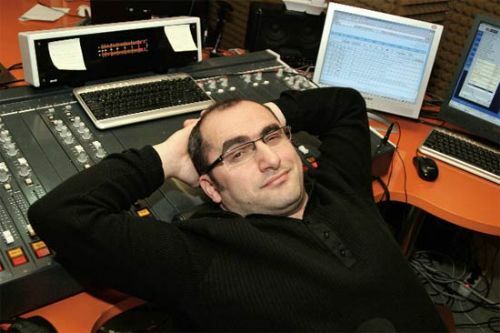 Ömer Pekin, a Turkish radio presenter and actor, has reportedly been arrested over alleged links to Turkey’s Gülen group, which the government accuses of masterminding a coup attempt last year. Along with Pekin, 8 other actors were also sent to prion on similar charges. According to several Turkish media outlets, Pekin, who was detained by police last week, was arrested on Saturday as part of an investigation carried out by the İzmir Chief Public Prosecutor’s Office. Pekin is accused of having used ByLock, a controversial, encrypted mobile app that Turkish prosecutors claim to be once top communication tool among Gülenists. The government blames the group for the July 15, 2016 failed putsch and considers it a terrorist organization while the group denies involvement and the accusations of terror. Some 130,000 have passed through police custody and some 55,000 of them have been remanded to prison pending trial over Gulen links so far.